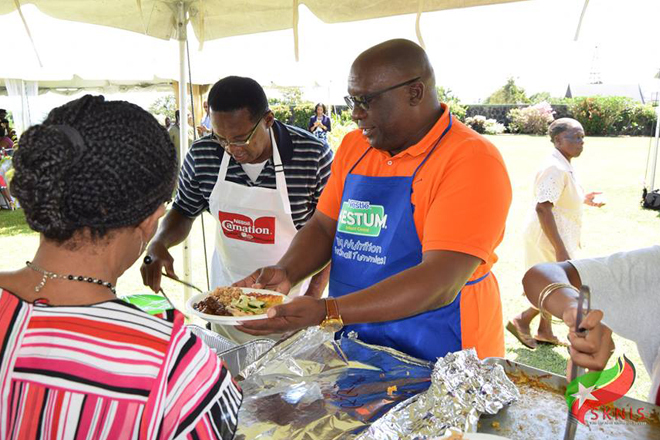 (SKNIS): Prime Minister of St. Kitts and Nevis, Dr. the Honourable Timothy Harris, said Saturday (February 17) was a memorable day as the nation witnessed “volunteerism at its best” during the first ever National Volunteer Day. 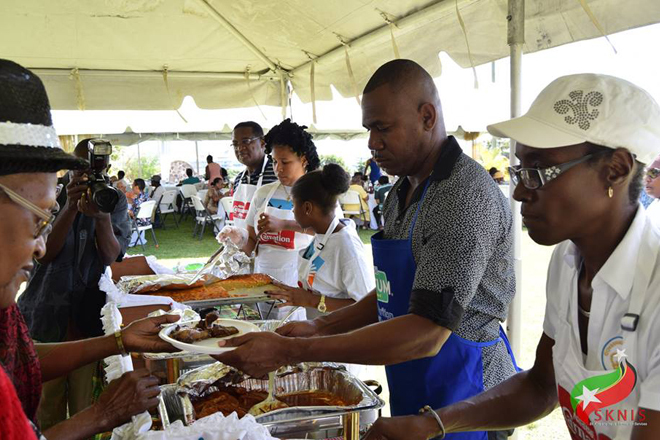 The event saw more than 30 groups and organizations hosting a variety of events from cleanup activities and bouquet presentations to food donations and free vehicle servicing. A large number of individuals also went out into their respective communities to give back in smaller but still meaningful ways. 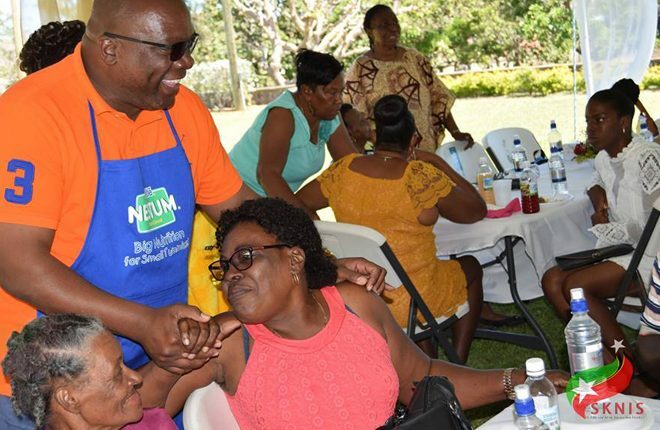 One of the day’s larger activities saw hundreds of senior citizens gather at Government House for a special luncheon hosted by Governor General, His Excellency Sir Tapley Seaton. The retired nation builders were treated to an afternoon of fun-filled activities, which included performances by a masquerade group and a string band. They were served by a mix of volunteers including members of the Department of Youth Empowerment’s Volunteer Corps and Cabinet Ministers including Prime Minister Harris, Deputy Prime Minister, Honourable Shawn Richards and others. Michael Hendrickson was one of the special invitees. “There is quite a good variety of people here from all walks of life,” he said, referring to the guests. That added to the novelty of the event, which Mr. Hendrickson said was enjoyable as some of the persons had not seen each other in a very long time. Being served meals by the most senior leadership of the government, also added to the special occasion. 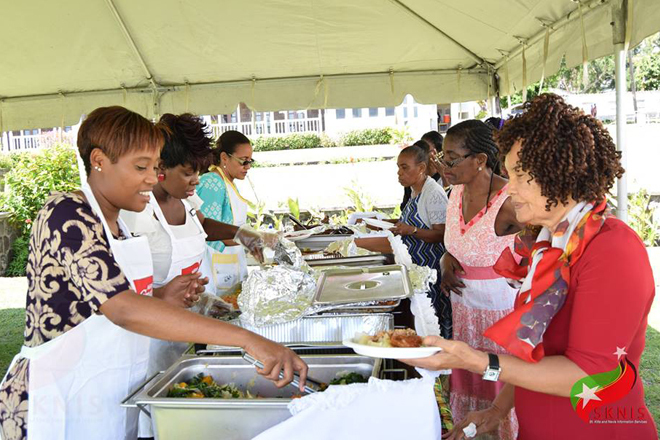 Prime Minister Harris led by example having participated in a number of volunteer projects on the day including painting a house in Mansion, packing food hampers, and arranging transportation for some persons who did not have the means to attend the luncheon. “Just being around interacting with the people, saying thank you to them for coming and letting them know that they are special has brought me tremendous joy,” he stated.